Check out the full review on Designcontest, one of the top crowdsourcing design sites. From logo design, full website design, banners, t-shirts and more. 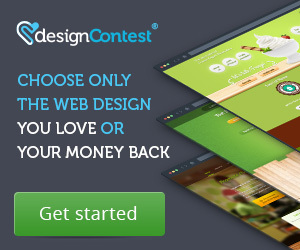 DesignContest is a crowdsourced design site which currently includes 207,142 qualified designers. 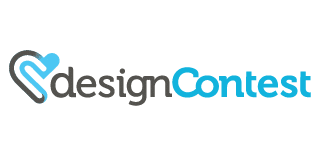 Even more than most crowdsourced sites, this one focuses almost exclusively on design contests—a style of finding a designer where you set up a competition and then choose a winner from among multiple designers who submitted their work for consideration. With the site available in English, German, Spanish, French, and Russian, it is a truly international option for your design needs. This particular site has existed since 2003, when it was founded by Sergey Epifanov, and currently functions under the leadership of CEO Sergey Nekipelov. At the time of our DesignContest review, the site has facilitated 10,696 design competitions that included over two million unique designs. Today, they base their model on three values—fast decisions, talented solutions, and reasonable prices. Create a brief—This step is very simple on Designcontest with very little information given. You simply enter a company name and project description, and then rate what you’re looking for on five different scales (minimal to complex, modern to classic, playful to serious, loud to subtle, and luxury to budget). From there, you will select your price package from their options, and add extra options if you want to (such as extra advertising or 2nd and 3rd place prizes), and pay. Wait for responses—Traditional contests last seven days, so once it is started, you should begin receiving submissions within a few days. The number of responses will be dependent on your brief and pricing, and the website gives you an estimate of how many to expected based on those parameters. During this time, you can give feedback to the designers in real time to offer corrections or suggestions, eliminate designs, and start voting for your contest. Pick a winner—At any point before the deadline, you can choose a winner from the submissions. From the time you choose a winner, you will have seven days to finalize the design and ask for changes. You do have the option to also try to buy any other designs from your contest for $99 which will open up a one-one-one project with that designer. Take ownership—Once you are happy with the design (or your seven days are up), the designer will send you source files for the design. These come in vector, AI, or EPS unless you specify otherwise in your brief. You will have a chance to review the files, and then both you and the designer will sign documents to transfer all copyright ownership to you. The conclusion of our DesignContest review is that this is a utilitarian option for crowdsourced design. If you already know what you want, or you want designers to have complete freedom, the straightforward brief is a blessing, but because of its simplicity, you will need to give more feedback during the contest in order to help designers really achieve the style you want. 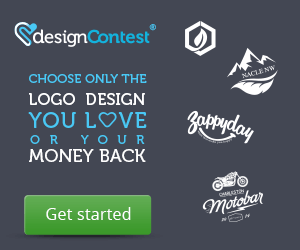 You can always check out Designcontest main competitors here. Great design with too many options to choose from. Much better than using a single designer and working through many revisions and never getting exactly what you want. There were so many great submissions we almost got choice fatigue! The process was simple and we now have a design that works for our organisation. This was my first experience with DesignConstest. It went really well. I was overwhelmed with the amount of entries at first but finally got the hang of how to rule each entry in or out. I love my new logo and will definitely recommend this website to anyone that needs a new design! I found their service to be very fast, providing unique graphics for my website and at a very reasonable price! They have an attractive, easy to use website, featuring other graphics they have created in the past, which makes ordering the graphics much less hassle. The communication with the customer also impressed me, as they listened to what I wanted and produced the graphics that I had requested. Overall I am really happy with the products I received and would definitely use again. I would recommend it to anyone looking for graphics on a budget! My friend has recommended them to me. She has an experience with design crowdsourcing, so I have decided to use her advice. What an amazing experience that was! Before starting a contest I had consultations with a girl from client support. She was so kind and patient to explain me everything in detail. The contest handling was easy and fun, I could comment each of submitted designs directly on image. The most part of design entries looked so good and professional, I was completely satisfied with the outcome! I will recommend this service to my friends in the future.